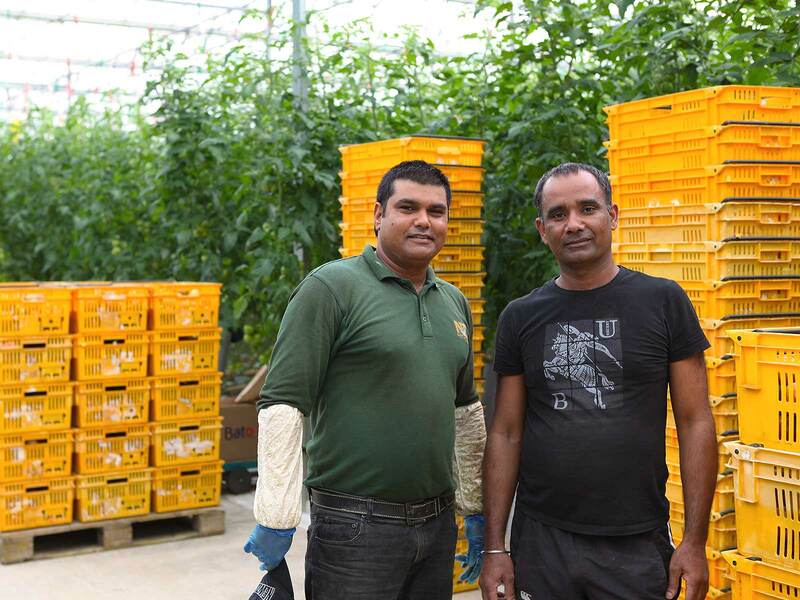 Brett Wharfe buys his first tomato glasshouse in Ramarama, South Auckland and he supplies his first tomatoes to Foodtown (now Countdown). 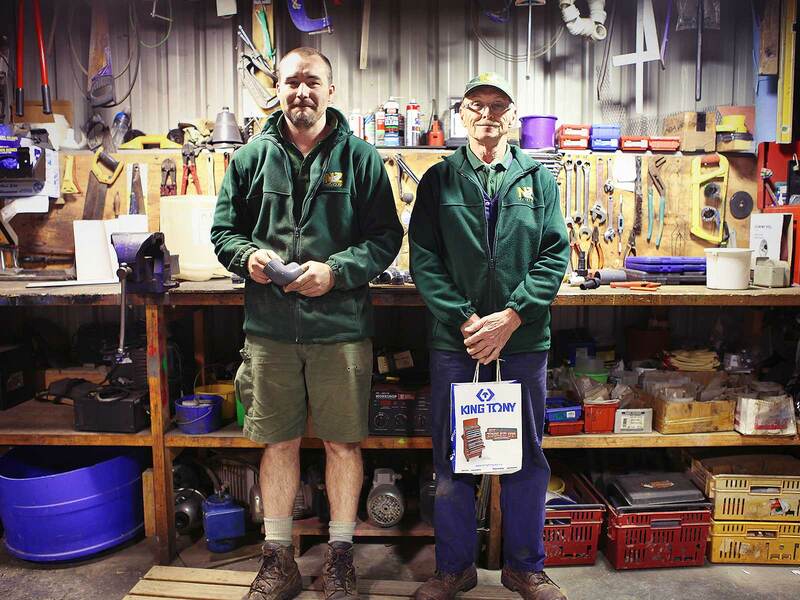 Brett opened Karaka Pack House (KPH) to pack and market local produce to the supermarkets. 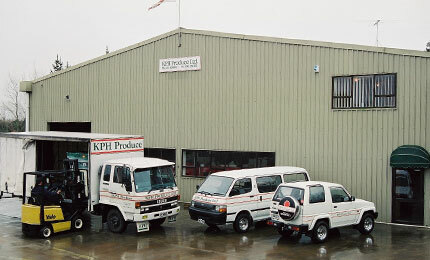 KPH relocates to a larger pack house at Mill Rd, Bombay and KPH Transport is created to deliver NZ Hothouse product to it’s retailers. The current Karaka Rd site is acquired construction begins on the offices, packhouse and first 5.2 hectares of production facilities. 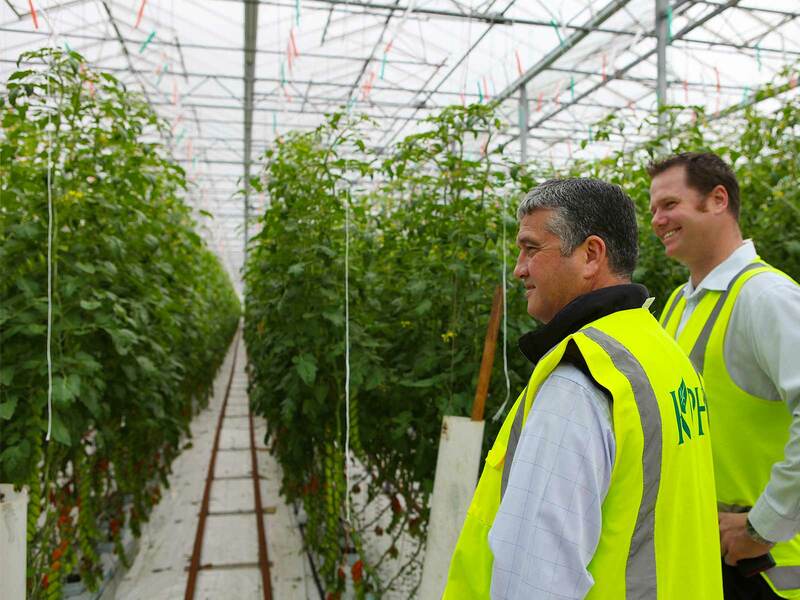 Underglass Ltd (the growing arm of NZ Hothouse) builds a further 5.2 hectares of state of the art glasshouses at the Karaka Rd site. 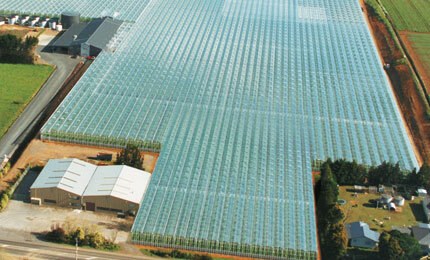 Underglass Ltd builds a further 8.5 hectares of glasshouses at the Mill Rd site in Bombay. 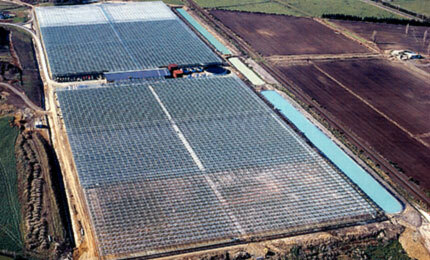 Underglass Ltd expands the Bombay glasshouse site by another .2 hectares. 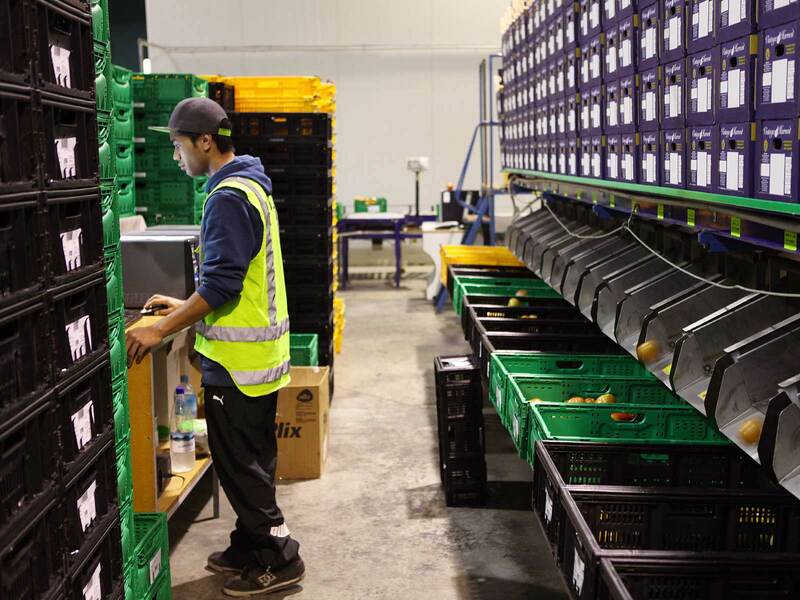 Substantial investments in technology and packing and grading equipment at NZ Hothouse were made, allowing us to increase our productivity. 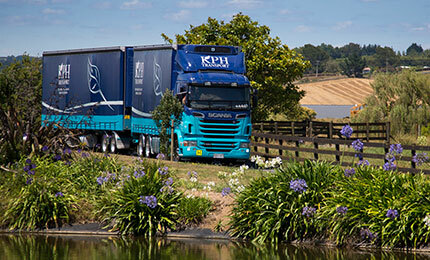 KPH Transport Ltd purchased Cooltrain Hastings doubling the size of it’s fleet to over 50 trucks, 4 depots and 70 employees. 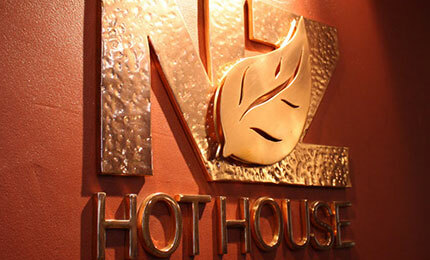 The NZ Hothouse Group Ltd now employs more than 350 full-time staff. 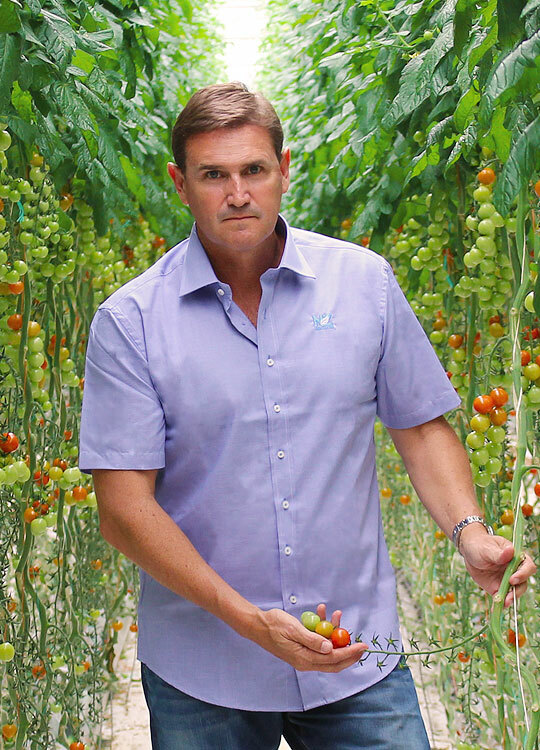 Founder and Executive Chairman Brett Wharfe started growing tomatoes in 1984. 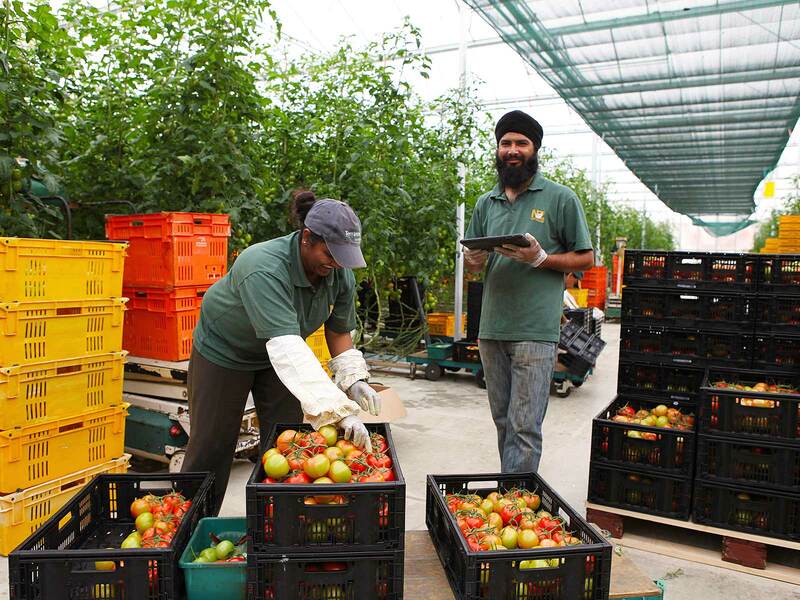 It all started as a one man growing operation, sending fruit to the wholesale markets. 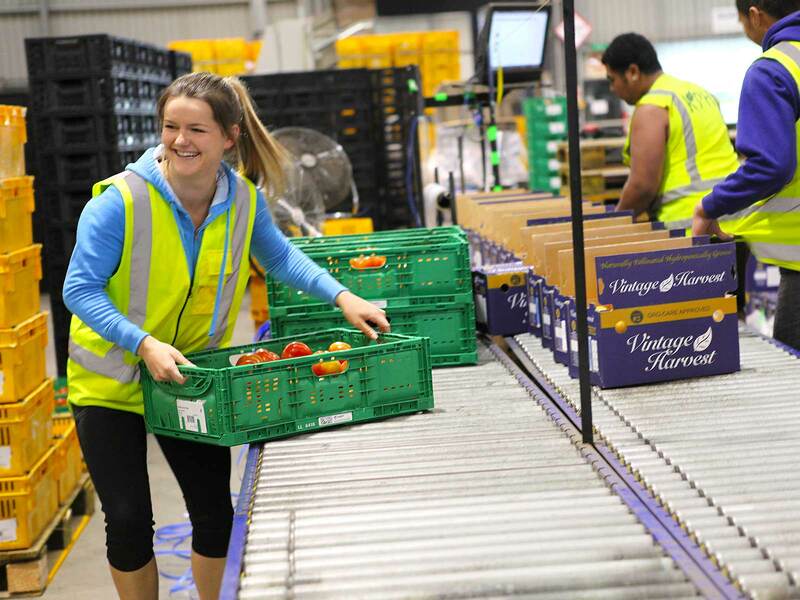 Today, the NZ Hothouse Group of companies employs more than 350 people in their growing, packing, marketing and logistics divisions. 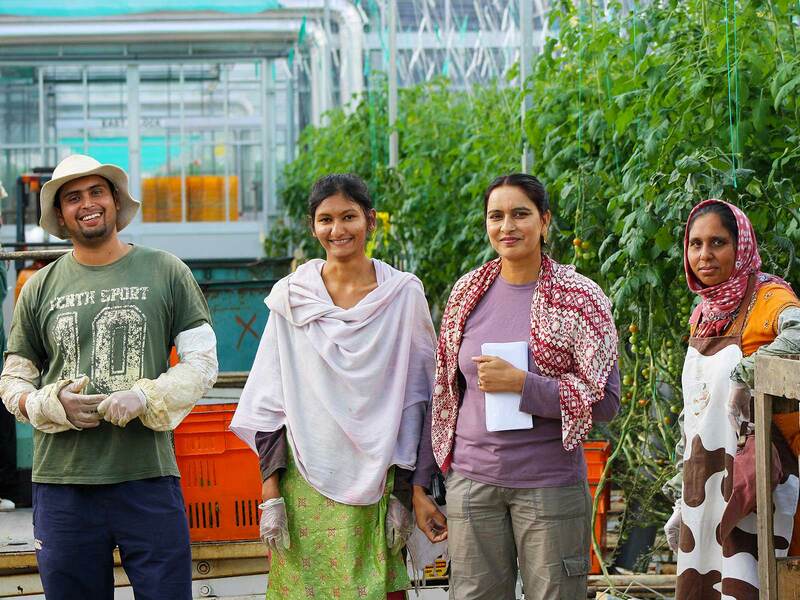 We pride ourselves on using predator insects and biological solutions rather than insecticides, to offer New Zealanders with fresh, clean, healthy produce. 1980 when Brett left school he went home to the family farm and wanted to get involved in horticulture. 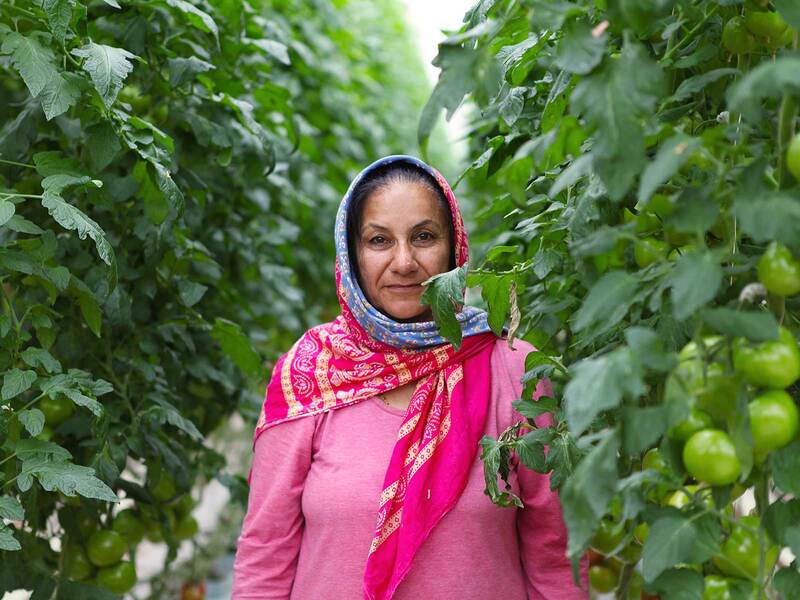 He was able to plant 20 hectares of grapes on a family farm until the early 80s when the then Prime Minister Muldoon paid many of the growers to pull their vines out. 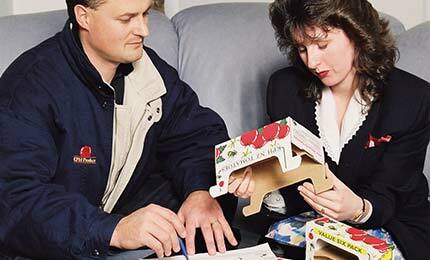 Brett took this money and invested it, in 1984 he started NZ Hothouse with his dog and in thirty years has grown it into a business that now employs around 400 people. 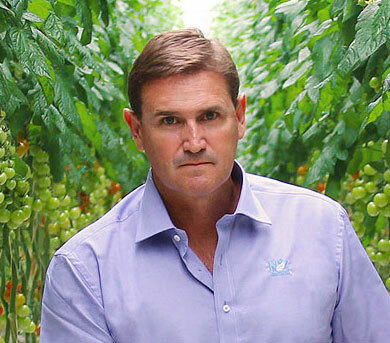 Brett has had many little achievements along the way, in the late 80’s he branched out from grower to also becoming a marketer and was one of the first to start supplying supermarkets direct. He grouped in excess of 100 growers together and did all their packing together on one site that he owned which at the time was another first for New Zealand. After many years of doing this, he decided to venture into a large investment of his own growing operation and decided he needed to raise some equity and did this by taking in a partner in 2000 by the name of David Levene. 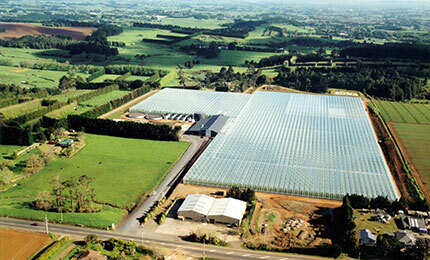 He then went about building the biggest growing operation in New Zealand building 20 hectares of glasshouses. Along the way Brett became a Category winner of the Ernst and Young Entrepreneur of the Year for services and has received on three occasions Countdown’s supplier of the year award plus many other industry acknowledgments. These days, Brett has taken on the role of Executive Chairman and has appointed three Managing Directors to run his five actively trading businesses and keeps a sharp eye on how they are all operating and enjoys being involved with the people throughout the group. He continues to invest in technology systems and worlds best practice and is making great gains in productivity through the industry and is enjoying some real traction with regards to export. It is his intention and desire to keep the business going by investing in the future and trying to stay on top of the game. Brett founded the group more than 30 years ago and is regarded by the industry as a pioneer and leader in Grower/Packer/Shipper systems. Simon joined the Group more than 20 years ago and holds roles in sales, finance and general management. 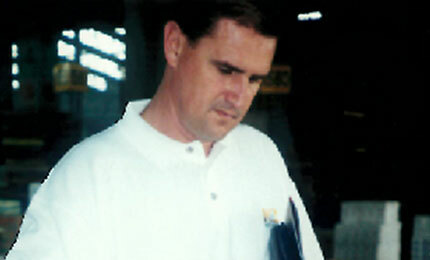 Lex has more than 30 years experience in logistics and sales. 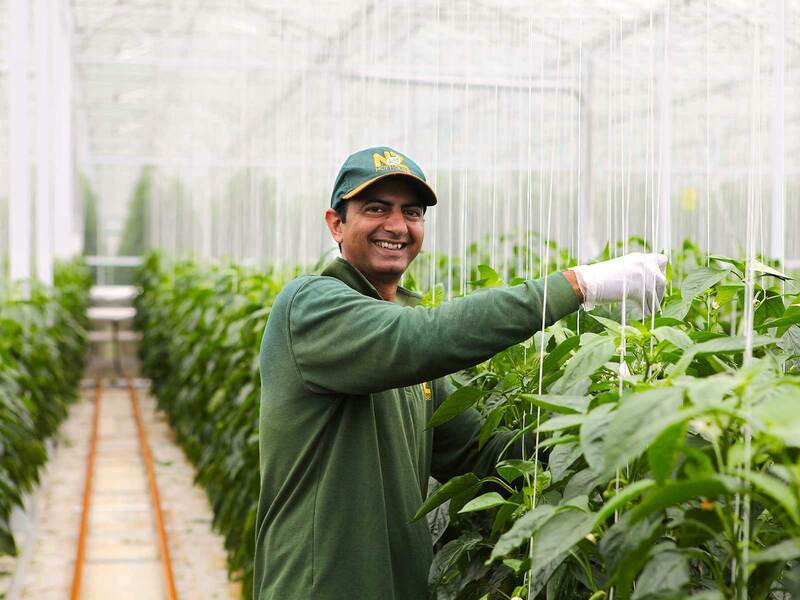 His key responsibilities are in glasshouse production and HR. Paul's background is in management & financial services. His focus is upon growth strategies for KPH Transport, and the implementation of company wide performance measurement. 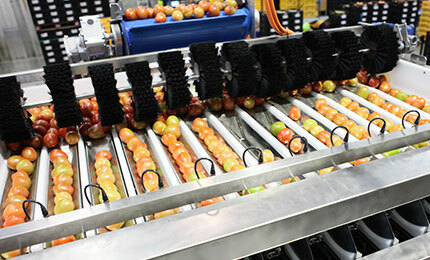 Ron has more than 25 years in the produce industry with specialist fields of post harvest handling and finance. 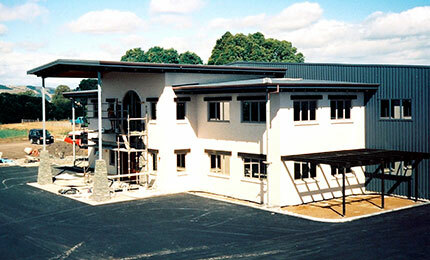 Mark has more than 20 year’s industry experience in both New Zealand and Australia. He joined the group in 2004 and became National Sales Manager in 2009. Bevan joined the group more than 20 years ago. He runs the Packhouse and Warehousing for the company.